In addition to the Roast Beast pizza, I needed a light summer pizza that I knew my sisters and step-mom Carol would enjoy. 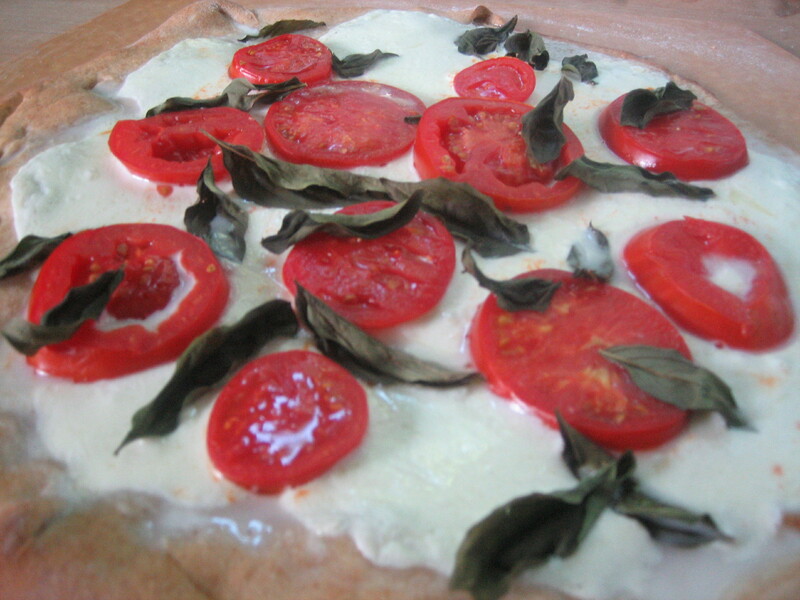 Because my dad and Carol have a great garden at their house Carol often makes Caprese salad with fresh tomatoes and basil so I figured she would like it as a pizza. She kindly donated fresh basil and then I recruited her to assemble the pizza for me. 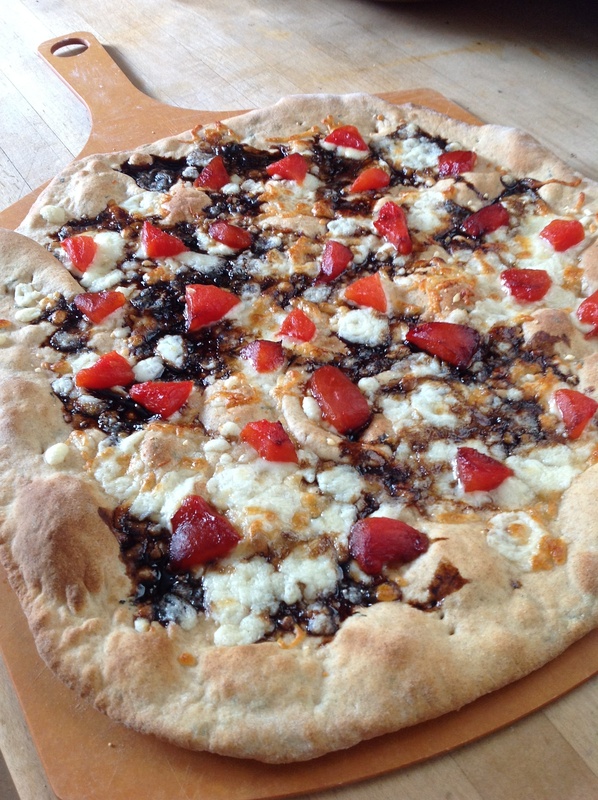 In addition to the basil she added sliced tomato, mozzarella cheese and a spritz of oil. Carol is an excellent sous chef and the pizza was delicious!